Gears are moving this week, retrograde or no retrograde. We’re encountering personal limits, turning attention to relationships and talking up a storm. The Leo Full Moon fuses a desire to shine with the urge to connect, conveniently timed for Valentine’s Day. Get ready to speak your mind and have fun in the process. The week’s start has the potential for stabilizing as it acquaints us with walls, boundaries and responsibilities. Some may be unwelcome, but they do have the benefit of showing what is real and solid, or on the way to becoming so. The Sun and Venus are both contacting structure-oriented Saturn, challenging us to take personal responsibility while encouraging settling into relationships and agreements. We stand to mature nicely, and so do important connections. “Bloom where you’re planted” may be more than a saying; it describes a process you’re likely experiencing inside yourself and in certain key connections as well. Communication and getting around continue to require attention, as their ruler Mercury continues his retrograde and scoots from Pisces back into Aquarius. Last week’s standstills and pervasive question marks are giving way a more detached air and the sense that you’ve been over some of this ground before, and recently at that. That revisiting brings evidence that Mercury retrograde doesn’t always deserve the bad rap we give him. Keep your ears pricked and mind open, especially when you trick, stumble or fall onto a loose end from the past. What you learn, hear or think now leads to greater self-awareness, which flows directly into ease in expressing yourself. More pointers are in How to Handle a Mercury Retrograde. Mercury’s journey puts him at the center of the Leo Full Moon on Valentine’s Day. Though that holiday has no astrological significance whatsoever, this year it has celestial help that could make the day upbeat and fun. Mercury’s presence adds streaks of observing, friendliness and chattiness while all our inner children come out and play (or make scenes). Energy runs high, and so does the compulsion to share, with Mercury and the Sun moving towards easy links with Mars, planet of push. Invitations, conversations, negotiations and all-around connecting abound. Read more in my mooncast, which will be posted by Thursday. Monday: The morning brings inspired hunches, free-flowing intuition and mood-enhancing thoughts and conversations. Stay with your guidance. As the day progresses, so do static, worry and uneasiness. You’ll know when the breaking point arrives. Welcome the course correction, the monkey wrench, the disruption. Your guidance knows what to do with it. Tuesday: Dreams explore how much more you want and how far some of those wants are still out of reach — especially where money and relationships are involved. The daylight hours, in contrast, expose you to walls, constraints and obligations, all unavoidable and demanding response. Butterflies may invade your stomach, or anxiety rattling your thinking — especially where money and relationships are involved. Hang tight to your priorities. They are translating into real-world developments. Those may not entirely take the form of what you’ve been wanting, but at least they are taking tangible form. Wednesday: The sensation of taking form and settling in carries into the dreamworld. It offer distance on yesterday’s developments, from the walls, constraints, obligations and anchor dropping, to how money and relationships are lining up with what you want. The drive to bridge that distance erupts before the sun rises, so note what you feel compelled to do as you start the day. The Moon goes void of course (what that means) at 5:53 AM for the first half of the waking day. 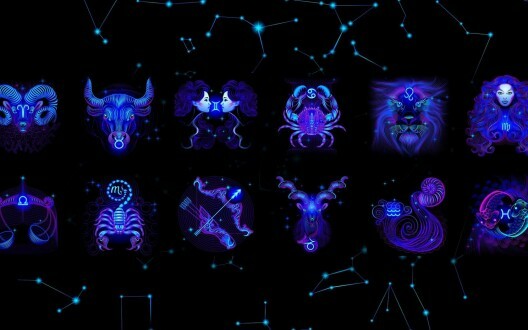 People are antsy and agitated without an effective outlet until the Moon enters high-energy Leo at 2:17 PM EST. Mercury is retrograding back into Aquarius today and offers Spock vision (while also encouraging technology to perform erratically). Thursday: Areas of ongoing upheaval and restructuring request your attention again today. Tweaks and changes are easier to make emotionally, but the prospect of tinkering with your concept of yourself borders on unnerving at the moment. Ah, comfort zones. Isn’t yours just a bit stifling? There’s an escape hatch. It leads to the path that is mostly honestly reflects you and your true power. Friday: The first part of the day is comfortable for no one. The skies encourage pushing back, pushing out, itching, stretching and expanding. That blossoms into wanting attention and going for it. The Moon grows full in Leo in time for cocktail hour, or dinner, with the Sun and the Moon making cooperative links to the go-getter drive of Mars in the relationship sign of Libra. (Read more in my mooncast, which will be posted by Thursday.) The urge to connect and share colors the evening, a convenient Valentine’s gift from the cosmos. Don’t push, though. Desires may wander into unsettling territory about the time that communication goes slightly out of sync, late in the evening. Saturday: Ah, desire. Compulsion. Obsession. The overnight hours explore why any or all of those are so unsettling. One possibility — and it’s a strong one — is that something you want is coming into your life, and maybe you can’t believe it, or don’t want to trust it, or are just the teeniest bit unnerved by actually having something you want. Or maybe all of the above. Clarity is coming, about that and, more importantly, yourself. You know your mind. You know yourself. You convey that automatically and effortlessly. Observe and experience your world from that perspective for the rest of the day. Sunday: The dreamworld is putting us all through quite the workout, with six aspects before 8 AM EST. They take yesterday’s clarity and parlay it into incentive, ambition and action plans, which propel you outside your comfort zone. (Remember that concept from Thursday?) When your solar plexus tinges, you’ve come to the border of that zone. Pass on through, in either your thinking, your conversations, or your actions, or all combined. Walking your talk is the order of the day, and it’s fostering vastly enjoyable interactions and relationship developments. Worst case scenario: everyone’s talking each other’s ears off. Not a disagreeable aftermath to Valentine’s Day at all. 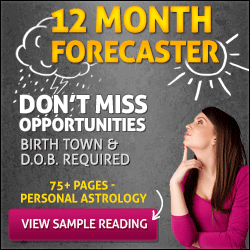 Kathy’s 2014 astro-overview and guides for each sign are available here. 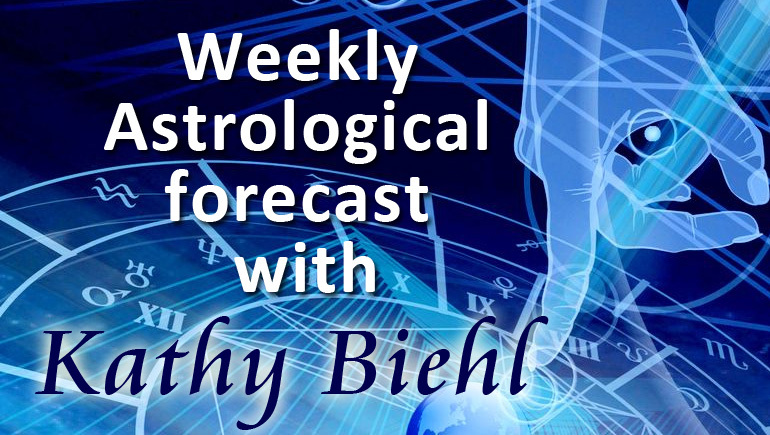 Kathy Biehl is a professional astrologer who has lived on the bridge between intuition and the rational mind for more than 30 years. Visit EmpowermentUnlimited.net for her podcasts, recordings and information about her services. You can also follow her daily insights and whimsical photos on Facebook, and find her at theProfessional Aquarian YouTube channel. 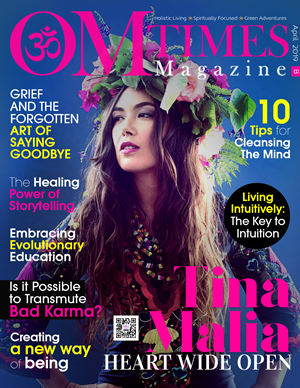 The post Astrology Forecast for Week of February 10 2014 appeared first on OMTimes Magazine.